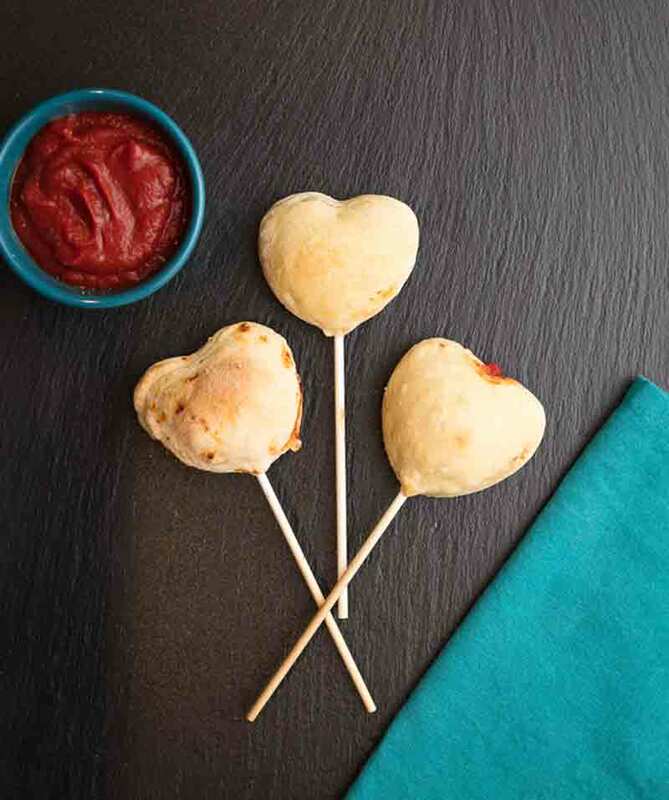 I’ve made a lot of pizza recipes in my day, from pizza waffles to pizza donuts, but I can honestly say that these lollipops are the cutest one yet! This is a perfect recipe for bringing pizza to your kiddo’s classroom on their birthday or as little snacks for your coworkers. 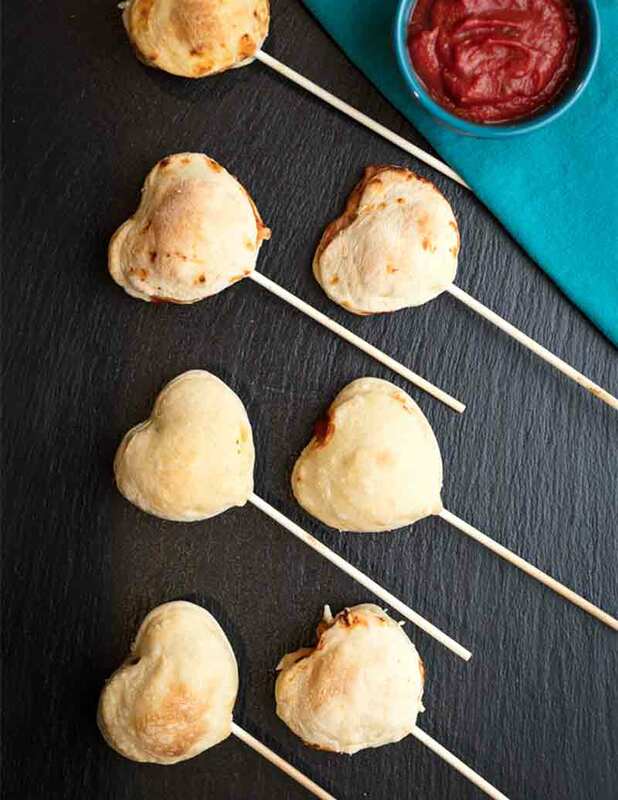 This recipe makes 20 pizza lollipops (depending how thinly you roll your dough). 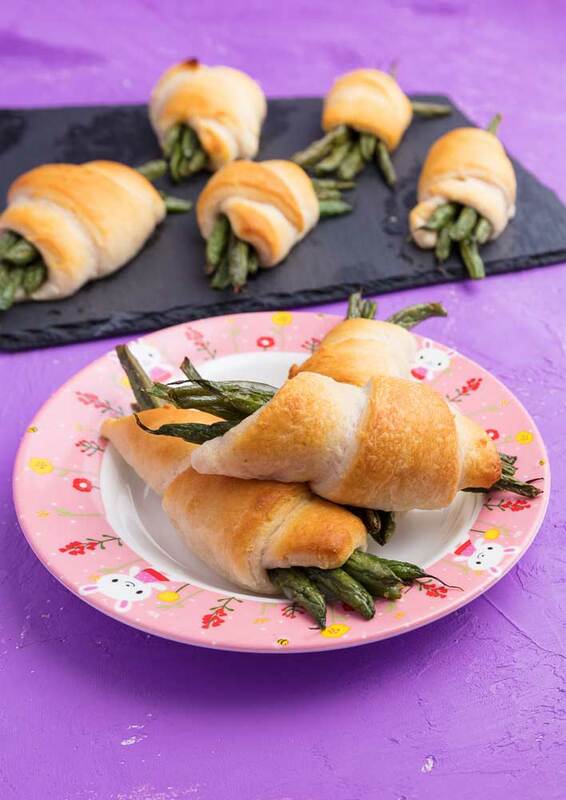 They stay good in the fridge for up to a week, but you can also freeze them for future lunches/parties. Use your stand mixer fitted with the dough hook to do all of these steps. Roll dough into a ball and place into a lightly oiled bowl. Cover bowl with towel and set in a warm place for 45 minutes to an hour. Slice your vegan pepperoni thickly enough that the lollipop sticks can stick into them. Stick 20 lollipop sticks into slices of pepperoni so they look like a pepperoni lollipop. Preheat the oven to 450º or 475º. Knead dough again. You should have around 2.5 pounds of dough (or 40 ounces). 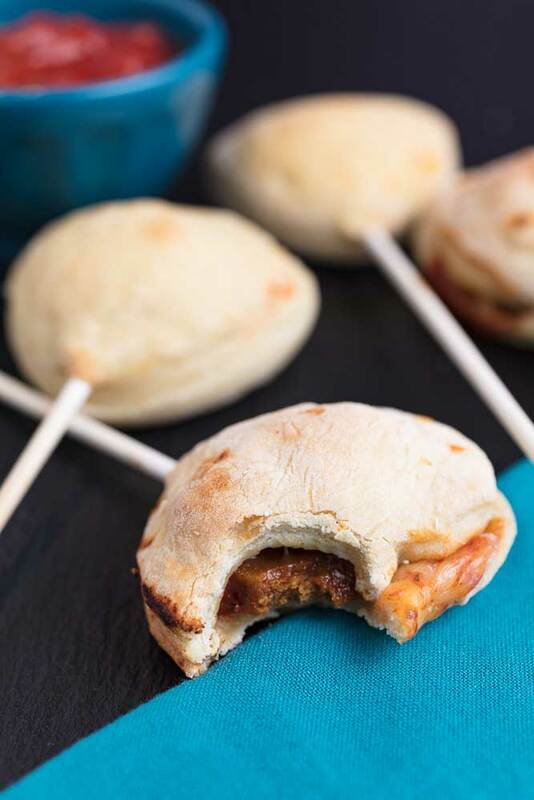 Each pizza lollipop takes 2 ounces of dough. Roll half of the dough as thinly as possible on a floured board or a silicone rolling mat . 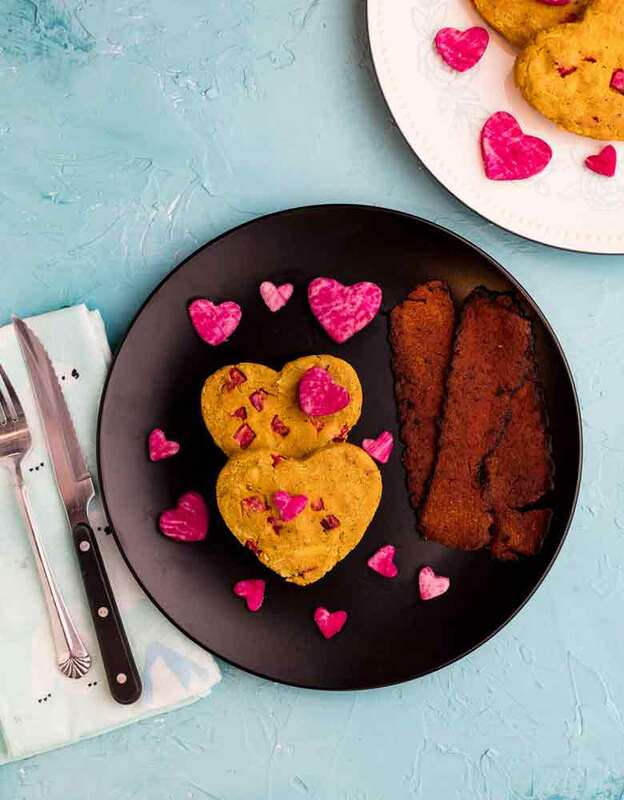 Cut out circle or heart shapes using biscuit cutters or a heart cookie cutter . 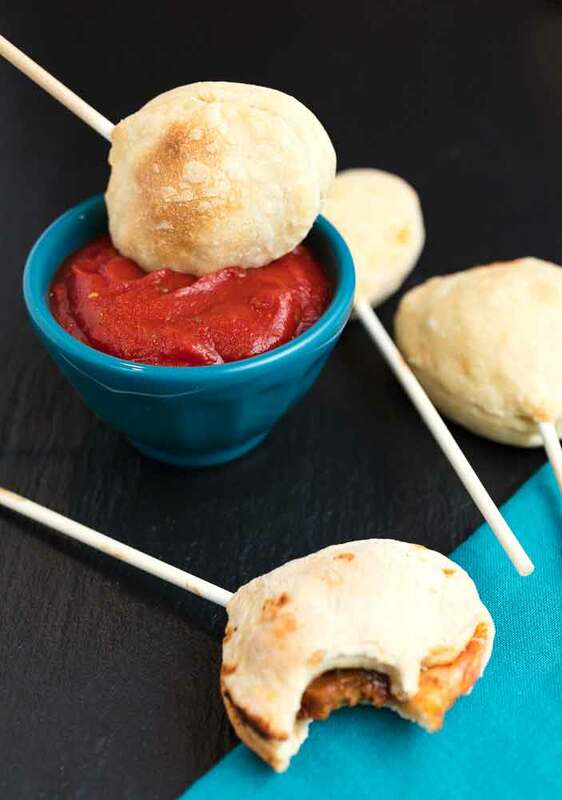 Spread the sauce lightly on one shape, leaving the edges unsauced, and then set the pepperoni lollipop on top of the sauce. Top that with grated cheese and set another piece of dough on top, lining it up to match the bottom dough shape. Press the edges down to seal them. Transfer to a baking stone (or a cookie sheet lined with parchment paper). Here’s a video of me and Kimmy making them live. Bake for 12-15 minutes at 450º or 475º. Remove from oven and let cool. Serve with a side of pizza sauce (optional). 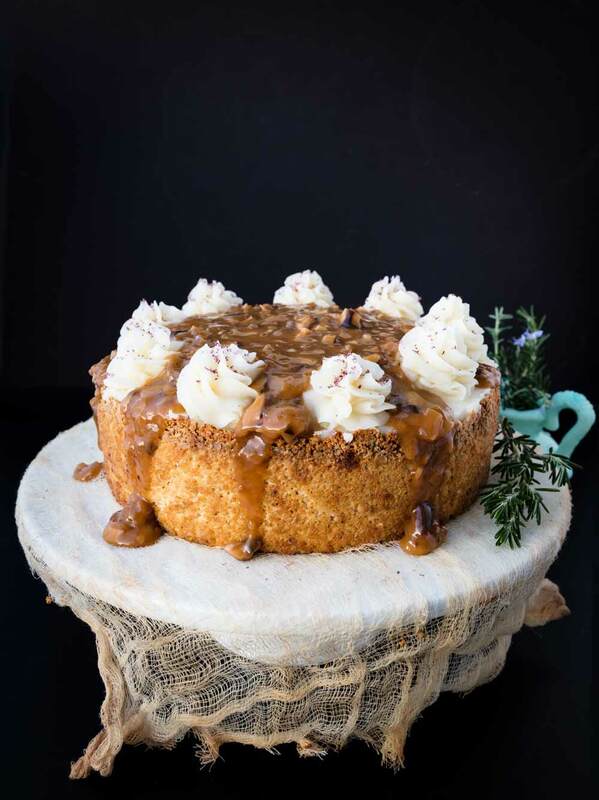 This vegan, organic thanksgiving dinner cake comprises 5 common thanksgiving menu items: tofurkey, stuffing, brussel sprouts, mashed potatoes, and gravy.